Xenotransplantation — the use of organs from other animals for human transplantation — may be closer after European researchers showed they were able to transplant a pig's heart into a baboon, and keep it alive for more than six months. "This is huge," said Dr. Shaf Keshavjee, the surgeon-in-chief at Toronto's University Health Network, director of the lung transplant program, and a professor of thoracic surgery at the University of Toronto. Organ transplants are a life-saving miracle of modern medicine, but one of the barriers that keeps human to human transplants from being used more widely is the shortage of donor organs. That's why for decades scientists have studied the potential of xenotransplantation. But over decades of experimentation in animals, researchers have encountered severe roadblocks. Keeping organs alive during transplantation proved difficult. Immune system tissue rejection has been a huge issue. And new troublesome incompatibilities between donor and recipient kept popping up. That's why this new success is so exciting. "It's one thing to have an organ transplanted that's a xeno organ and not [being] rejected," said Keshavjee. "But this was also working, like sustaining life." Surgeon Dr. Bruno Reichart from the Ludwig Maximilian University of Munich and his colleagues published their findings in the journal Nature. They refined their process over three successive groups of transplant subjects. "Basically you've optimized the organ in the pig. You've optimized the organ outside the body. And you've optimized the environment for the organ after the transplant for success," said Keshavjee. "And that's the Holy Grail." 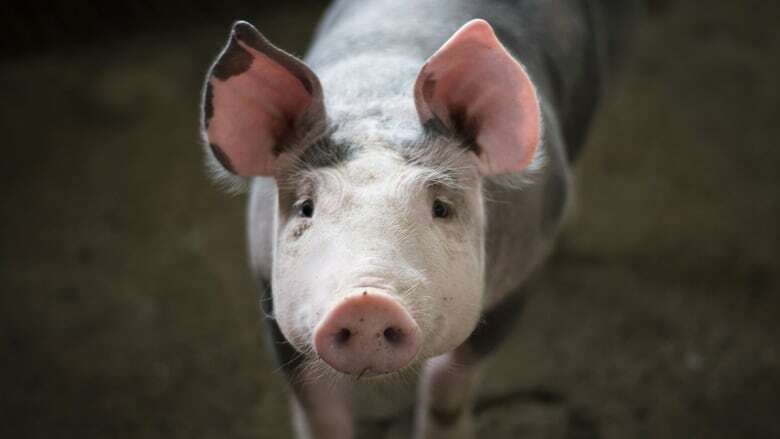 For decades, pigs have been the primary focus of xenotransplantation research because they are similar in size to humans and it's more socially acceptable to use their organs than it would be to use primate organs. The first thing the team had to do was make the pig heart more primate-like to prevent the baboon's immune system from attacking it something they did by genetically modifying the pig embryos. "They knocked out or removed a protein that is expressed on pig cells that primates don't have and would recognize immediately. They humanized the cells and made it so that they would down regulate the immune system," said Keshavjee. 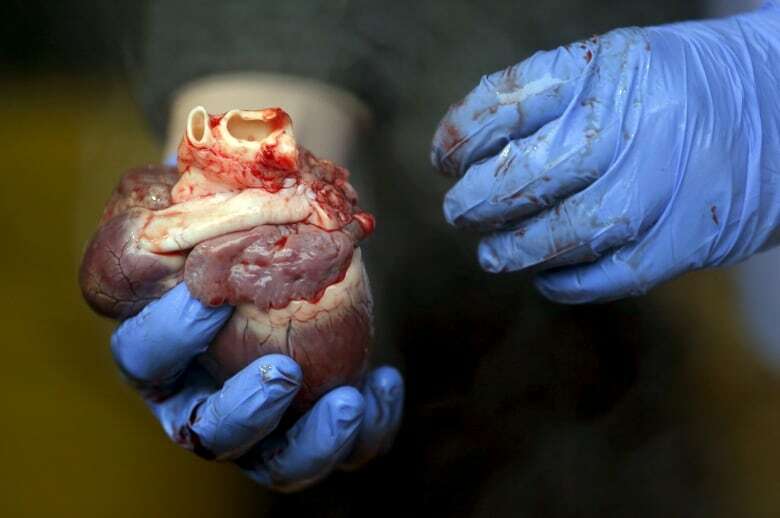 Typically human hearts meant for transplantation are put on ice, flown to the recipient, and then transplanted. That didn't work for the pig hearts that were destined for the baboons. Three baboons died of heart failure almost immediately because pig hearts proved more vulnerable to damage than human hearts. The European team built a state-of-the-art support system, which Keshavjee likened to a "little mini-intensive care unit for the organ" to keep the hearts running while outside the body. They reduced the organ's temperature from 37 degrees Celsius to eight degrees, which was optimal for preserving the organ while maintaining vital cell processes in the heart. They also provided oxygen, nutrients and hormones. "Basically you're repairing and keeping it sustaining it in a vulnerable time of the journey of that organ," said Keshavjee. The final hurdle for the research team was to stop the pig's heart from growing once it was placed in the baboon's chest. "The issue is that a pig is designed to grow to a larger size than those small baboons," said Keshavjee. "And so they used further molecular engineering and drugs to prevent that unwanted growth." 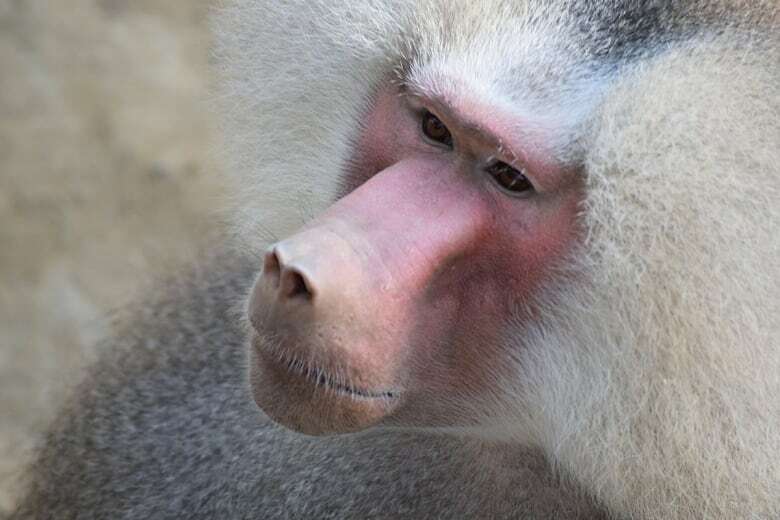 Two baboons with pig hearts remained healthy for 90 days, which is the benchmark set by the International Society for Heart and Lung Transplant to indicate it might be ready for human trials. They were then euthanized. Two other baboons continued to live for 195 and 182 days. It will still be a few years before researchers will be ready for human xenotransplants. "I mean just to be able to say it's gonna be a few more years is dramatically different than what most people, including myself, would have said ten years ago," said Keshavjee. "All of these things are coming together now where you can see that this is going to be possible."